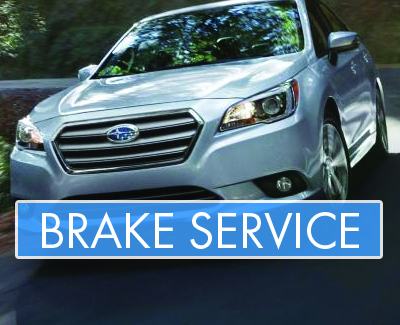 Do you need brake service done in Lethbridge? Take a turn into Subaru of Lethbridge and we'll get you in right away. Brakes are THE most important safety feature of your vehicle, so trust your needs will be met with our brake specialists. We can inspect and replace your brakes and provide expert advice to help you get the most out of your vehicle's safety features. Q: HOW DO I KNOW IF I NEED MY BRAKES FIXED? Q: HOW LONG TO BRAKE PADS LAST? Most brake pad companies and mechanics agree that pads typically last between 50,000 km and 115,000 km. Brake rotors can last quite a bit longer (as much as 3 times as long as pads), but again this depends on many factors like your driving conditions and brake system maintenance.